Every day on the crowdSPRING Twitter account and on my Twitter account, I post links to posts or videos about logo design, web design, startups, entrepreneurship, small business, leadership, social media, marketing, and more! Here are the links that I’ve liked and shared this past week about graphic design and web design. 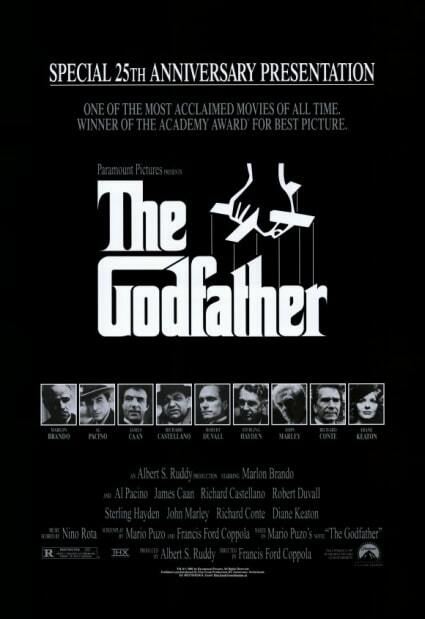 The image is the movie poster for The Godfather, one of my favorite movies. It’s in one of the posts below highlighting typography in movie posters. What’s your favorite post about design from the past week? Feel free to leave a comment below.